There was once a man who was renowned as one who knew English very well. And it wasn't just idle hear-say either, he definitely had earned the reputation. People would come from all over the country to study under him. Many times they would ask him what a certain sentence meant. Invariably, his first question in response would be "What's the context?". Once they gave him the context he would give them an answer, and of course it was very easy to understand, since this man knew so much about English. One day, however, a man came to him and asked him "Sir, what does it mean when someone tells you to have a good day?" As usual, the sage replied "What's the context?" The man pulled out a slip of paper, and said "Here it is." The sage looked at it, and on it were the words Set thine house in order, for today thou shalt die. The sage's brows dropped in thought, but soon returned, and he asked the man if he were a Christian. The man said he was, and had always lived as the Bible taught. The sage was about to reply, when the man asked "Why do you always ask for the con-text? Here's the pro-text." So saying, he handed the sage another piece of paper which read It's April fool's day, O sage.. The sage got the point and achieved world fame because he no longer asked for the context unless he had to, but rather knew it from experience. So what are the pro's and con's of asking for the context? How much should it be done and why? And yes, I realize that we don't qualify for the title of "Sage" (on this site), even at a regional level...yet. Ask for context when the OP doesn't provide enough for you to answer. Why? So you can answer the question, obviously. The pro? Correct answers. The cons? I don't see any, do you? Do you really think there's some kind of widespread problem on the site where people are continually asking for additional context where none is needed? 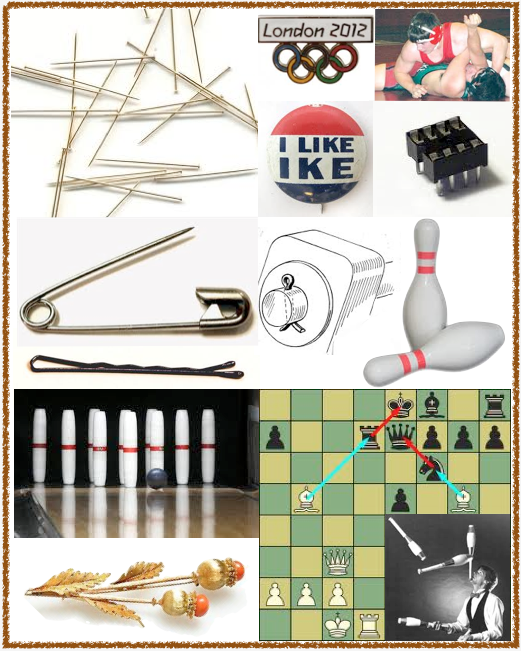 My favorite word is pin, but what does a pin look like? This is a forum about language; language is heavily context-dependent. It would be hard for me to find an EL&U question that provided too much context. It would be easy for me to locate several that provided far too little. Context should be requested whenever an O.P. has provided too little. Otherwise, how can we be expected to steer the conversation the right direction? Pinning down the precise meanings of words and phrases is futile without sufficient context.